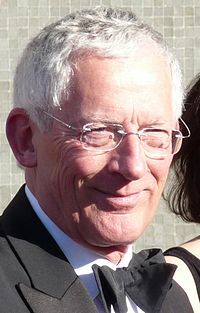 So Nick Hewer, Lord Sugar’s right hand man on The Apprentice, is going to host Channel 4’s Countdown quiz show from January. I’ve no doubt Hewer will deliver the polished, professional performance that has been the hallmark of his working career. It must be nearly 30 years ago that I met Hewer first; he in the capacity of PR man to Sugar’s Amstrad electronics company and me as a financial journalist. Sugar was just as cantankerous back then as he is now. It was Hewer’s job to smooth feathers, show the world the best side of his boss’s businesses, which were not without their ups and downs. Hewer was a model public relations man; he knew his stuff and I can’t recall ever being sent the wrong way by him on a story. If he couldn’t give a straight answer, he refrained from inventing one. His expression of pained silence seems to have stood him in good stead for his television appearances. I watched the first series of The Apprentice in 2005 as much to see Hewer in action as Sugar. I dipped into subsequent series but never made it to their ends. The show has very little to recommend it as an introduction to business. The candidates are most often unpleasant to a man or woman; Sugar’s “you’re fired/hired” nastiness is pure pantomime and wouldn’t be tolerated in a boardroom; while the tycoon himself though a classic 'rages' to riches story, if he is an authority it is in the property and not the marketing world. None of this matters to the show’s fans, which continues to rank among the BBC’s most popular programmes. I’m looking forward to seeing if Hewer can breathe new life into the tired Countdown formula. My money’s on the man clocking up another success.